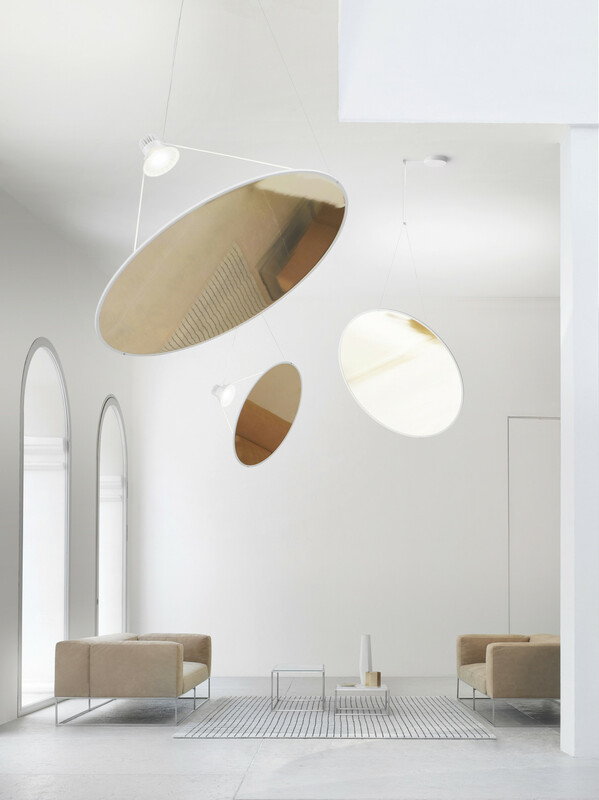 Designed by Daniel Rybakken for Luceplan, the Amisol is a large pendant lamp that actually takes up a minimal amount of physical volume. The lighting is made up of a large sheet of translucent white film or metallized mirror membrane that’s been stretched inside its circular frame and a light source that projects light onto the disc to diffuse light or reflect it. Two thin rods connect the elements together. To rotate the disc in angle, one just needs to alter the length and connecting points of the two supporting wires. Balancing proportion and form with a minimalist approach, the Amisol is suitable for both residential use and for contract and hospitality sectors.